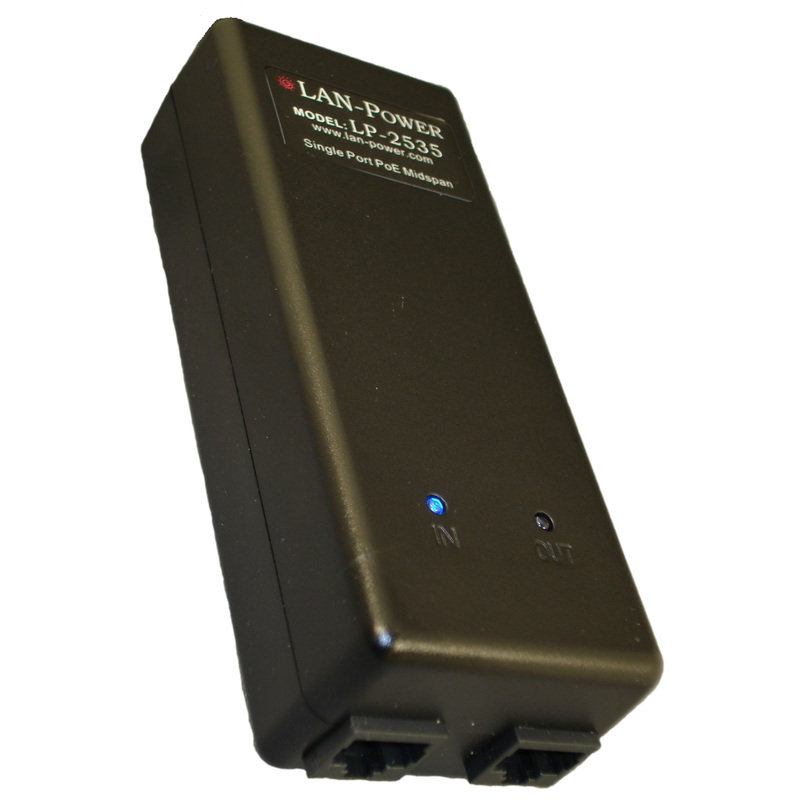 The LAN Power Model LP-2535 Single Port High Power/PoE Plus Midspan Injector supports powering IP End Devices. The Single Port High Power/PoE Plus Midspan Injector adds up to 35 watts continuously at ~48 VDC to unused (nondata) wires in a standard Category 5, 5e, or 6 Ethernet cable. 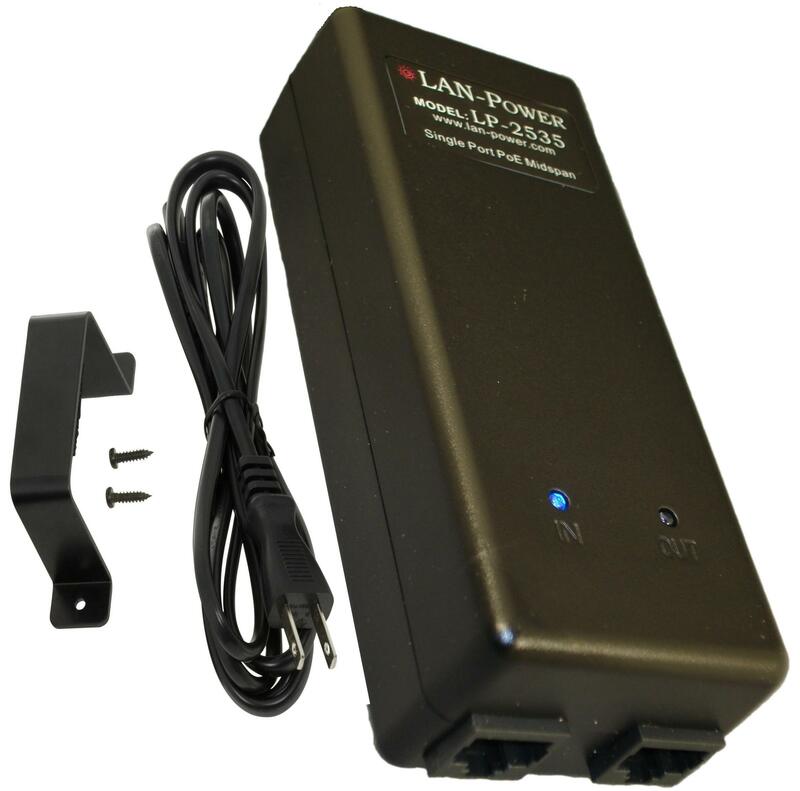 The LP-2535 delivers both data and power over a single standard Ethernet cable to a PoE enabled End device designed to receive both Data and Power through its RJ45 connector.